The Great Debate: “Resolved, that Win­ston Churchill was more a lia­bil­i­ty than an asset to the free world.” Spon­sored by Intel­li­gence Squared, view­able on C-Span. LONDON, 3 SEPT 1999— It was avid­ly await­ed but fell flat. 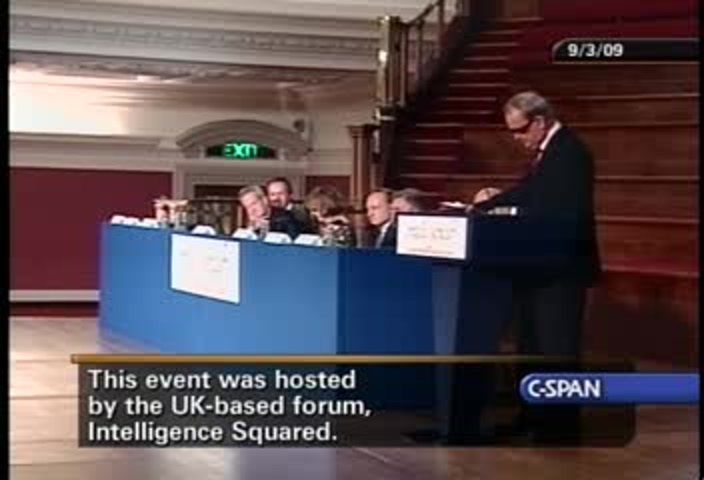 Tabling a tru­ly ridicu­lous motion, Intel­li­gence Squared (“the only insti­tu­tion in town aside from Par­lia­ment to pro­vide a forum for debate on the cru­cial issues of the day”) com­bined with C-Span to bring us this spec­ta­cle. It would have been more inter­est­ing to debate whether Hitler or Churchill was the bet­ter painter.